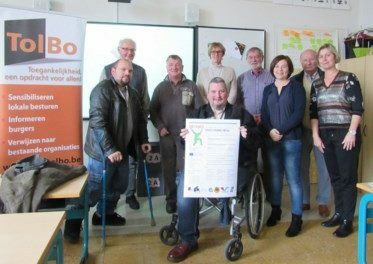 Tolbo, the Volunteer Association on the accessibility for everyone, works together with other organisations from Croatia, Bulgaria, Austria and Turkey on the ‘ Sport4All’ project. A European Conference will be held in Brussels, organised in Dec 2019 with the title “How to Ensure sport for ALL activities – training, tools, learning outcomes”. Board of the Center school in Londerzeel offered a suitable location, logistical support and expertise. From our region Stef Puttemans (Hoegaarden) and Bart Dussart (Boutersem) are part of the group.